I am thrilled to be hosting this event. Please come out for a special meet and greet on Sunday August 3rd. 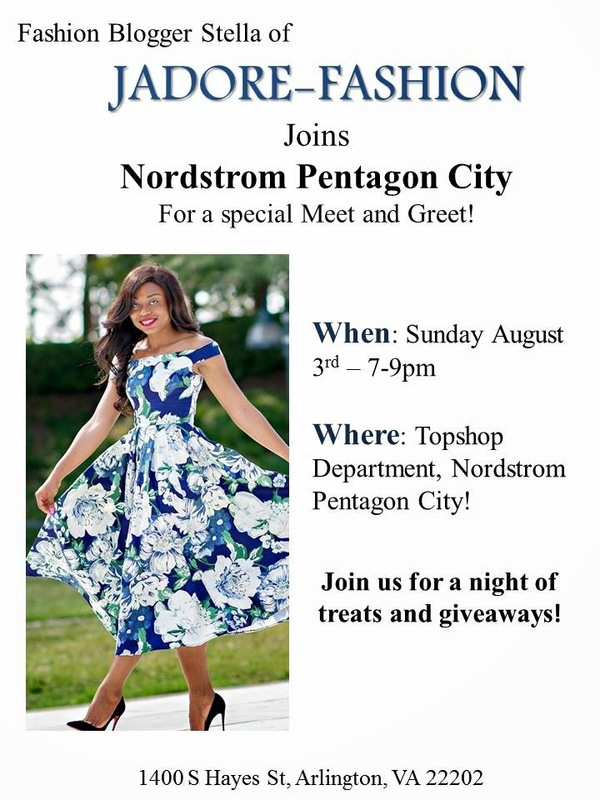 Join me at Nordstrom Pentagon City, Topshop Department for a night of shopping, treats and giveaways. Don't forget, the Nordstrom Anniversary Sale is still going on and this is an opportunity to shop amazing pieces from Nordstrom and Topshop. From August 4th, all items will revert to their original prices. Awwww, I wished I lived in the DMV area. I would have definitely loved to come.